A lot of students feel the TOGAF documentation is too wordy. 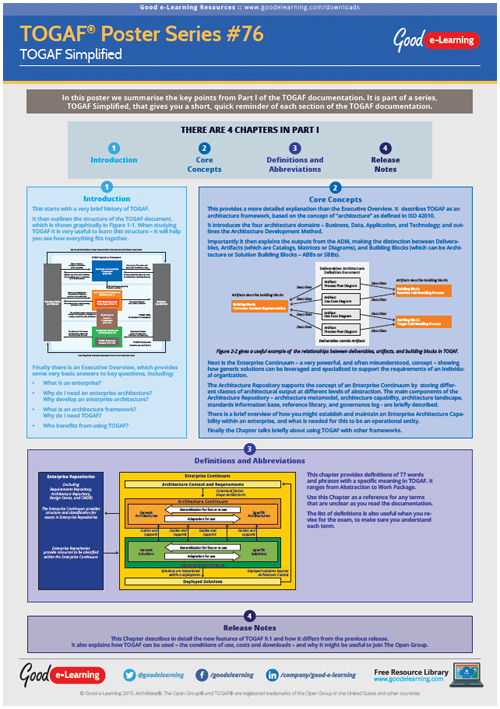 In this poster we summarise the key points from Part I of the TOGAF documentation. It is part of a series, TOGAF Simplified by Enterprise Architecture expert Roger Evernden, that gives you a short, quick reminder of each section of the TOGAF documentation.